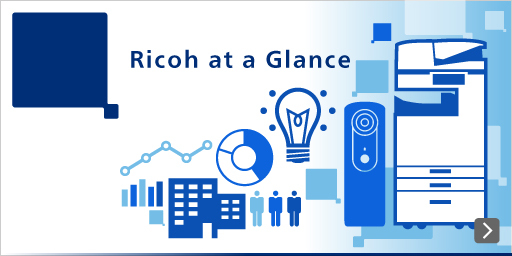 The Ricoh Group has proactively promoted the environmental management systems in order to make a reality of environmental management. Starting with Ricoh Gotemba Plant, which received ISO/DIS 14001 certification in 1995, we have obtained ISO14001 certification for our group production companies globally and continue to promote ISO14001 certification for other business sites. Accreditation was completely integrated within Japan in 2013. RICOH SOLUTIONS CHUO COMPANY, LTD.
RICOH SOLUTIONS TOKYO COMPANY, LTD.
RICOH ELECTRONIC DEVICES COMPANY, LTD.
RICOH CREATIVE SERVICE COMPANY, LTD.
RICOH LOGISTICS SYSTEM COMPANY, LTD.
RICOH INTERNATIONAL FREIGHT FORWARDING (SHENZHEN) CO.LTD.